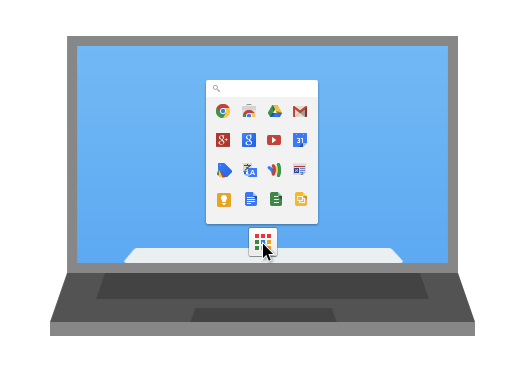 Google today announced Chrome apps are now available on OS X, in addition to Windows and Chrome OS. Mac users will also now get the Chrome App Launcher in their Dock when they download their first Chrome app. Google first officially launched Chrome apps in September for Windows and Chrome OS. This may seem a bit contradictory, given that the Chrome App launcher arrived on Windows in July, but Google has been tweaking how Chrome apps work for months. The Chrome App Launcher was first spotted as part of a Chromium release back in May. Google clearly prioritized Windows over Mac, but now both the apps and the launcher are available on both platforms. It works as one would expect: a grid icon resides in the Dock. A single click brings up a small tray of installed Chrome apps and services, any of which another click will open up. This year, Google launched Chrome apps for the desktop. Next year, the company is tackling mobile.